Interactive multi touch screen systems as tables & walls with customized touchscreen software & object recognition technology. Amaze customers, increase sales with interactive digital signage XXL. 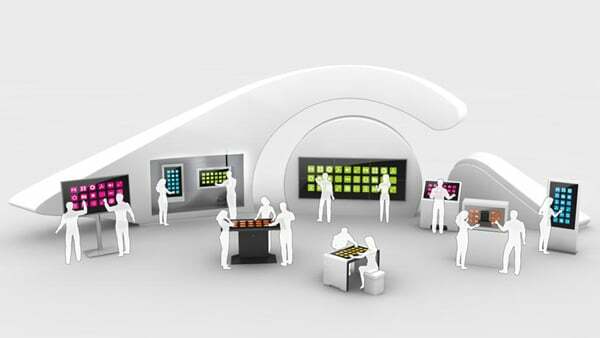 Individual multi touch screens, tables, steles, kiosk terminals, video walls and equipment. Customizable multitouch screen software in the world's first specialized B2B app store. Touch screen object recognition, multiuser software development, camera tracking. Learn more about our worldwide interactive digital signage touchscreen installations, projects and customers. The future of pharmacy product communication is here with fully automated multitouch counter displays and the ApoShelf software, individually developed for OPTIMUM-Media by eyefactive. In cooperation with MiracleMaker and CornerMe, eyefactive has implemented a large scale, interactive multitouch bar with multimedia touchscreen software. 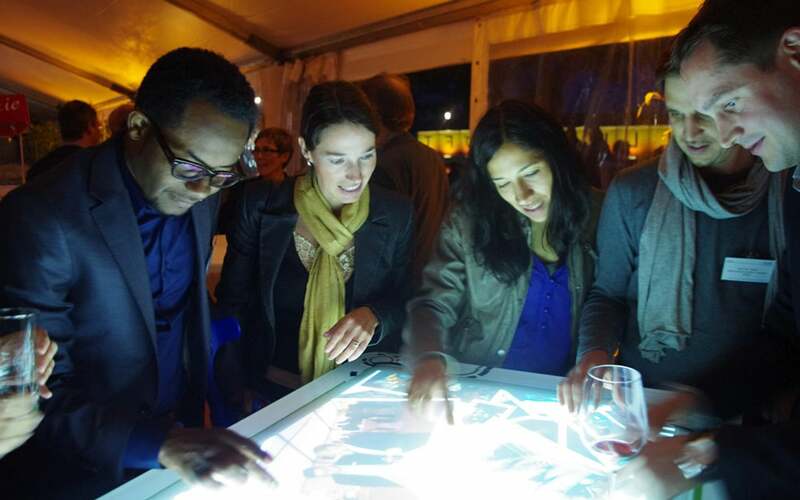 Harness the power of interactive technologies for new innovative solutions! 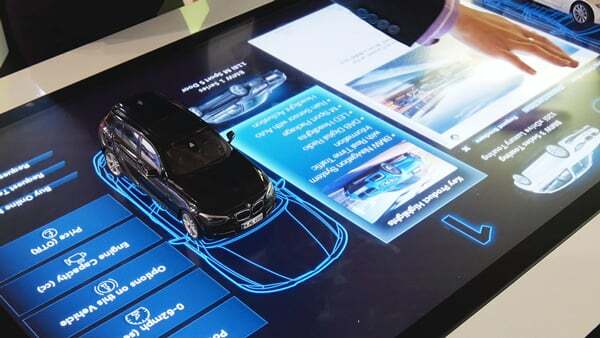 Interactive digital signage installations can be deployed in many areas! eyefactive in cooperation with MMT showcased touchscreen hardware, apps and object recognition at ISE 2019. This year's focus laid on interactive signage solutions for retail and POS. Innovative shopping experience of the future: At this year's ISE, eyefactive present interactive technology and products for use at point of sale. Innovative technologies expand the scope of application of classic digital signage systems and offer new advantages for use at point of sale, in museums, hotels or restaurants. Today, the main focus shifts to interactive content, which according to the trade magazine invidis is the top trending topic1. With one of the largest roll-outs in this sector, McDonalds caused quite a stir recently2. We shed light upon four interactive trends for 2019 - and beyond. Click on the headlines to learn more. 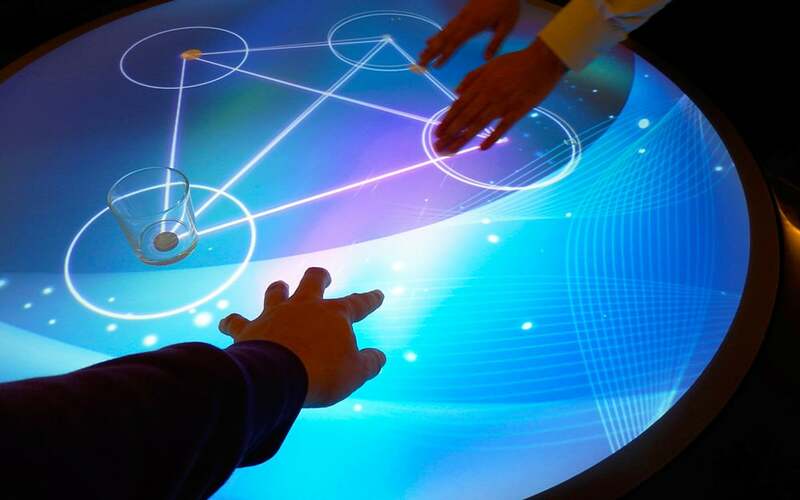 Interactive touch technology is here to stay! 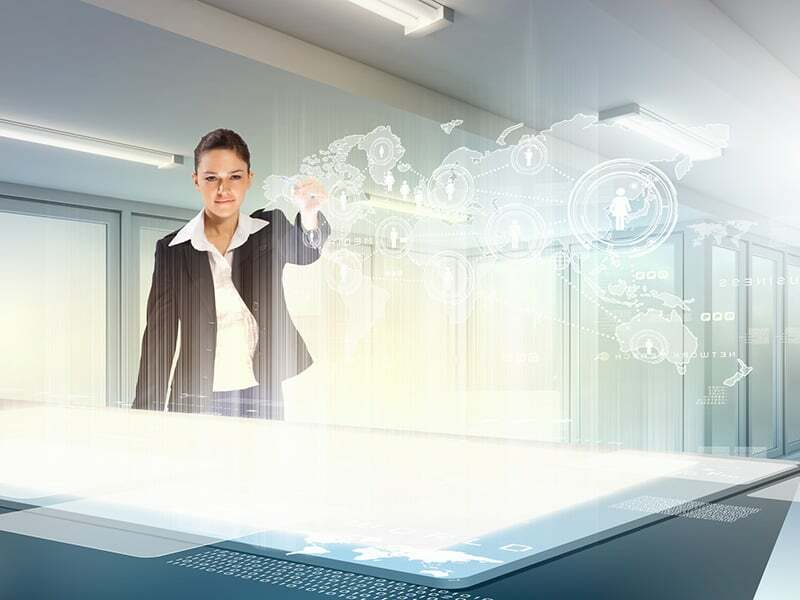 As users got familiar with multitouch control on mobile devices and tablets, they expect the same intuitive experience on larger displays as well. We will see such larger scale professional touchscreens on a more frequent basis in our daily lives, be it at shopping malls, airports, museums or bus stations. The bigger the display, the more users can interact with it at the same time - either individually, just for themselves, or jointly in a group. 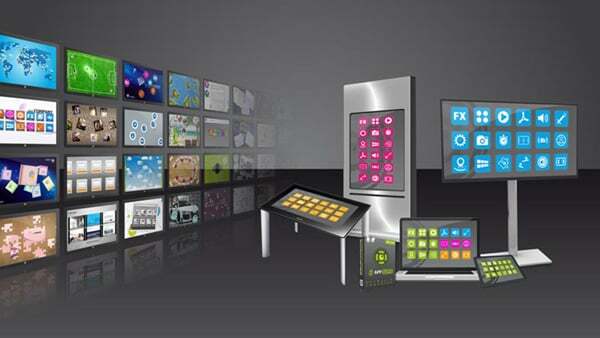 Whitepaper: What is Interactive Digital Signage? Since the success of Apple´s first iPhone, touch technology has become a given standard. The advantages are clear: direct and intuitive handling via fingers is easy to grasp for the young and old alike: with a swift touch we activate buttons, swipe images to the left or right, or zoom into a map with two fingers, completely void of any additional input devices like mouse or keyboard - human-computer interaction has never been easier! What are tangible objects / fiducials / markers for touch screens? There are many different designations of interactive objects for touch screens, e.g. markers, marker objects, fiducials or "tangible objects". They all denominate physical auxiliaries different in shape and size, we call them markers. They can be recognized by the touch screen. Various technologies exist on the market: Some markers use optical recognition and can simply be printed similar to QR codes. Others use an integrated specific technology or mechanism and are generally a bit bigger in size. The markers are mounted or glued for instance to the actual object as an auxiliary.